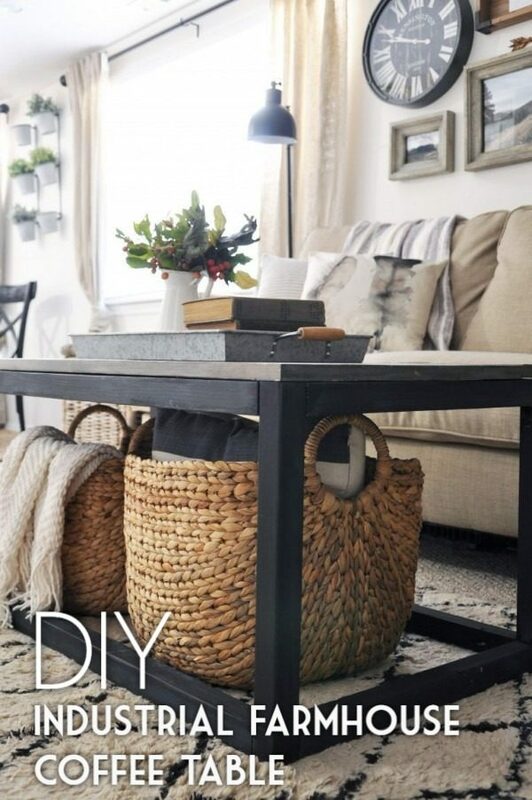 A DIY coffee table is not a challenging project to take on at home. It’s even easier if you have the right tutorials and plans. 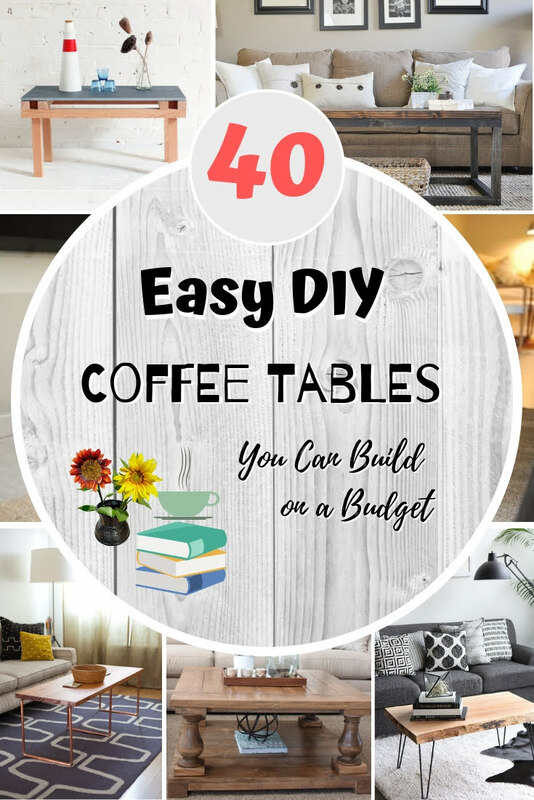 Here are 40 options that will make your homemade coffee table a thing of beauty. Have you ever tried to build custom furniture at home yourself? It’s an exciting project, but it’s a complicated one too. If you’re a beginner, all this crafting business might seem intimidating to you. But our goal is to make it all simple that you can do it and be proud of your creation. 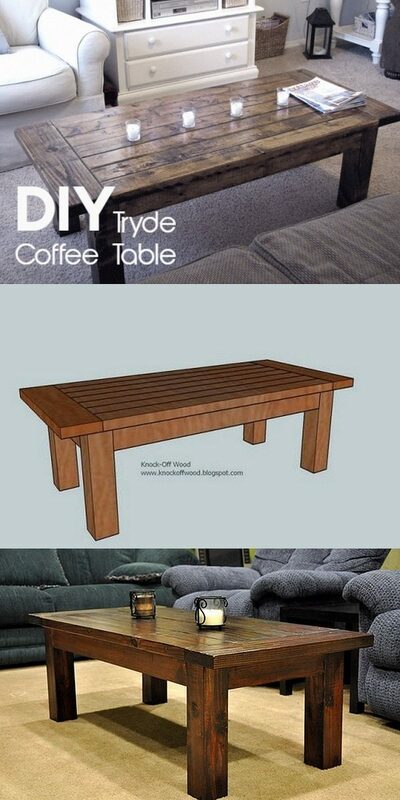 Let’s start with a DIY coffee table. Building one is easier than it might seem at first. 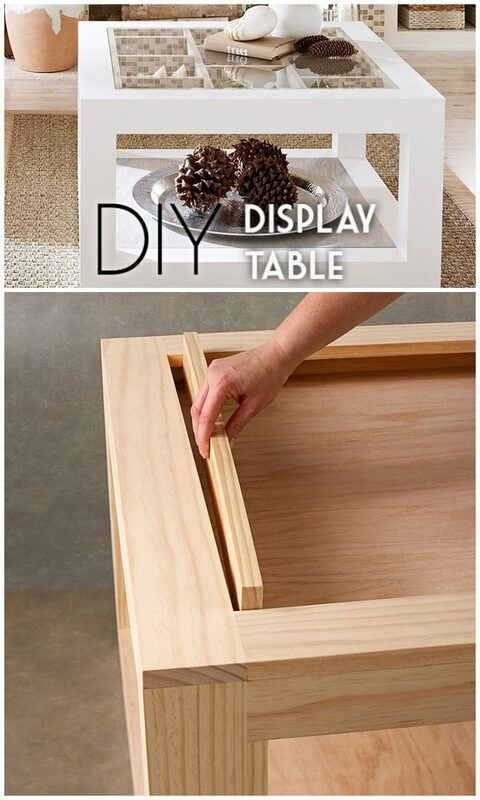 It’s in part with making a DIY table or a DIY desk. And it’s simple if you have the right plans, instructions, and tutorials. 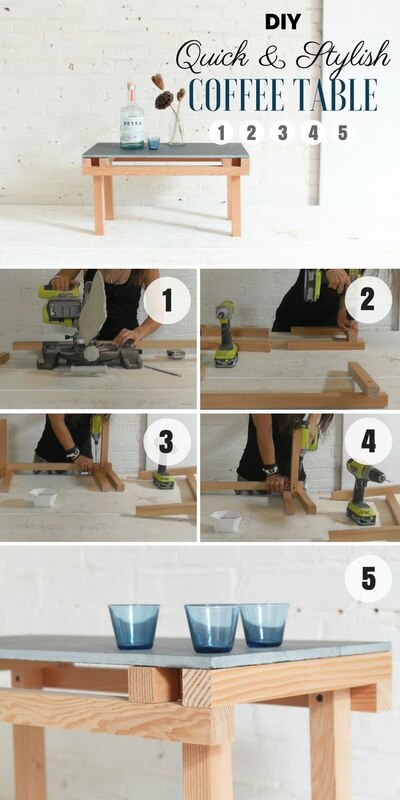 So here are 40 easy ideas that will turn you into a furniture builder overnight. 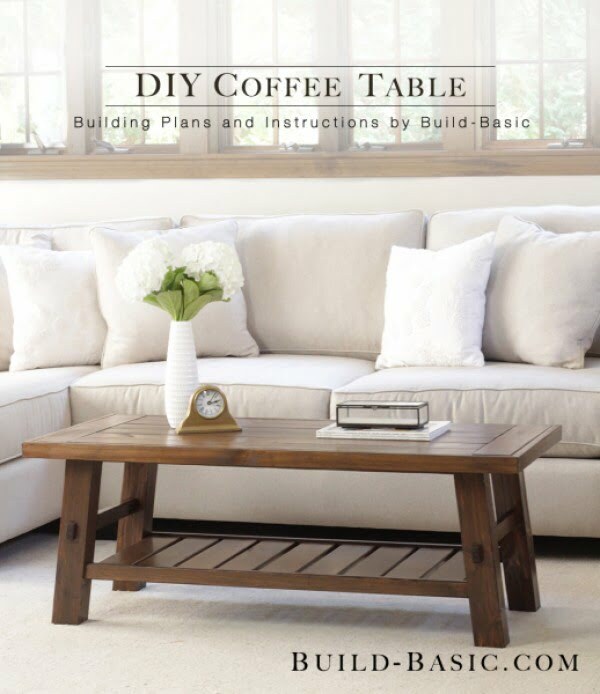 Choose the type of coffee table you like and let’s get crafting. Enjoy! 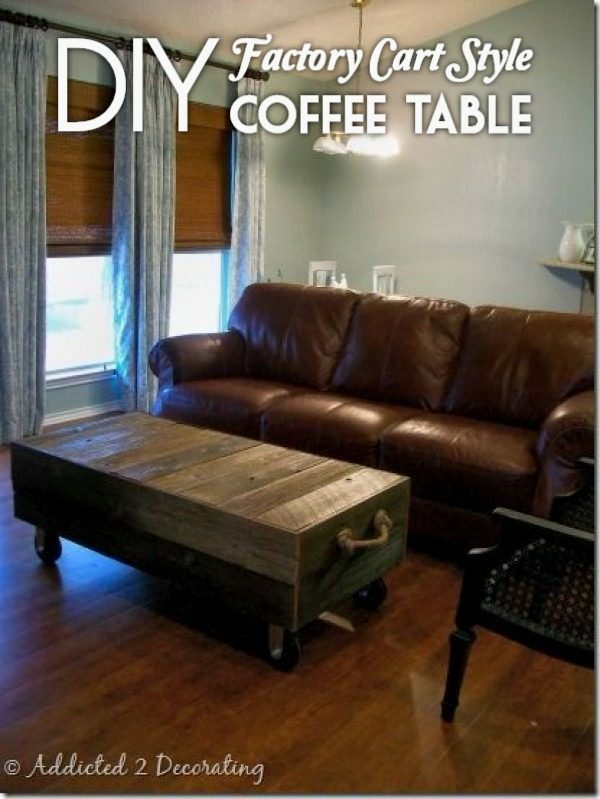 Choose one of the following DIY coffee tables ideas with instructions and tutorials for more detail on each step. Want to buy one instead? Check out the best coffee tables. This wood slab coffee table is one of the easiest to build because it takes just preparing the slab, applying a finish and adding hairpin legs that you can pick up in a hardware store. Put all things together, and you’ve got a unique and stylish coffee table. 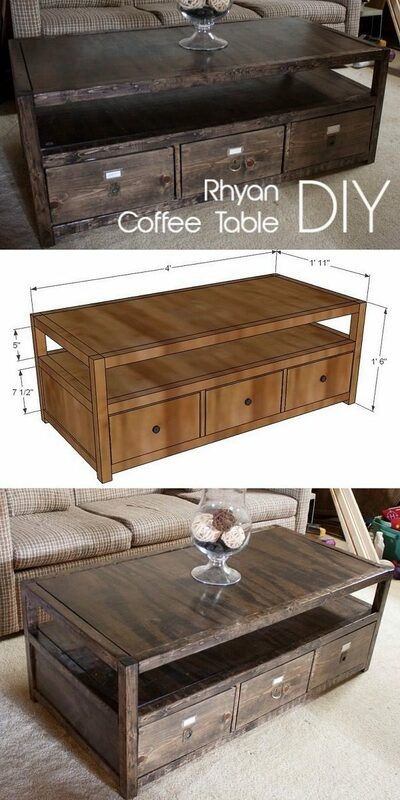 If you can saw and screw pieces of wood together then you will quickly build this coffee table. Apply different type of finish to the wood surface and the legs to get the brilliant industrial style look. Clever use of materials makes building a piece of furniture a breeze. In this example, a wall or floor tile is being used as the surface, and all you have to do is make the frame and legs for it. Some copper pipe and a wooden board can make this beautiful minimalist coffee table with a touch of industrial style. It may be a bit tricky to cut and connect the pipe, but with some effort, you can build a brilliant accent piece for your decor. 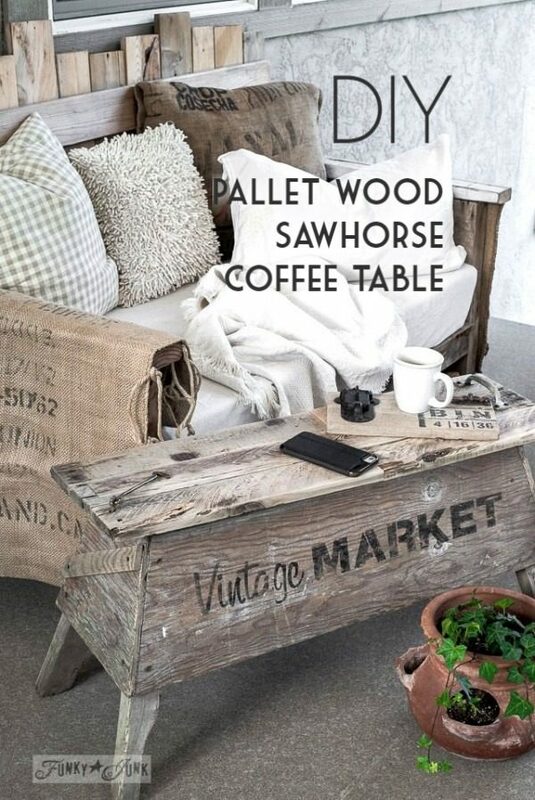 Pallets make great coffee tables with minimal work; the trick is making them look attractive enough to be used in your home decor. This idea to use a glass tabletop solves it brilliantly. When buying certain materials, you can already see the result and how quite easy it is to get there. Get four ornate wood pillars, and you’ll see what you can accomplish. Repurposing material is quite often the way to go, especially when an item already has the shape of a piece of furniture you want. This bookcase-coffee table made from an old spool is a great example. 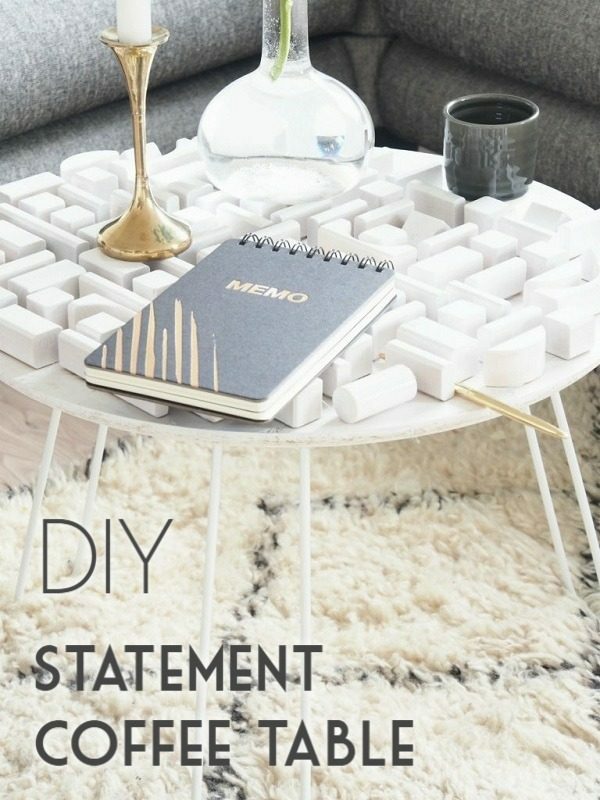 Being creative means, you can save a lot of work, such as using just a bunch of 2×4’s to create this whimsical coffee table. It’s easy to build, and it has a remarkable decor value. Check out the tutorial for instructions. 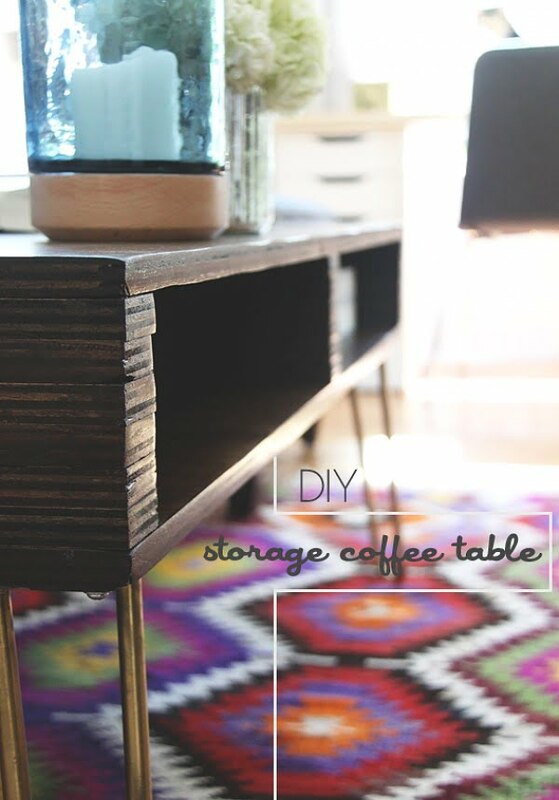 And finally, the last but not least tutorial on the list will show you how to upcycle an old suitcase into a unique and whimsical accent coffee table. It will become the feature of your home decor in no time, and you’ll be proud to have made it yourself. Industrial piping tables are among our favorites because they combine the rustic warmth with cold industrial elements. 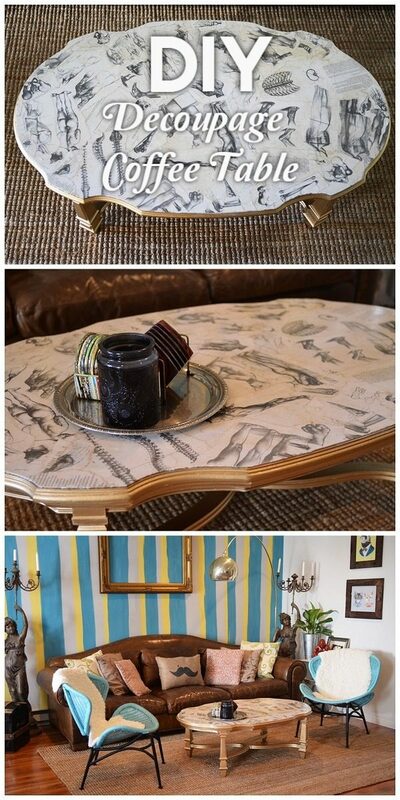 The design of this coffee table has a lot of decor interest and can easily be the focal point of the living room. If you can build this gem yourself at home, that’s all the better. 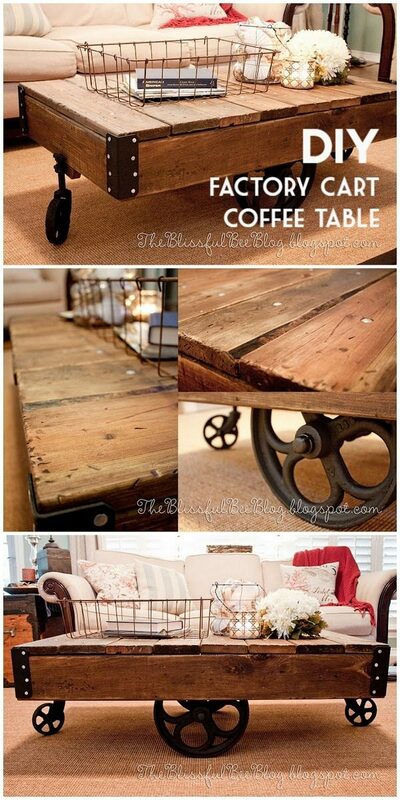 Repurposing projects are always a lot of fun, so is this DIY coffee table made from an old door. It also includes storage space, so it serves as more than just a table. And of course, it has a lot of rustic appeal for your home decor. Check out the detailed tutorial to find out how it’s built. Mid-century style has a lot of appeal in home decor with its strict lines and hairpin furniture legs. And while a coffee table like that is quite pricey to get, you can build it for pennies on the dollar. Just follow the tutorial for detailed plans. 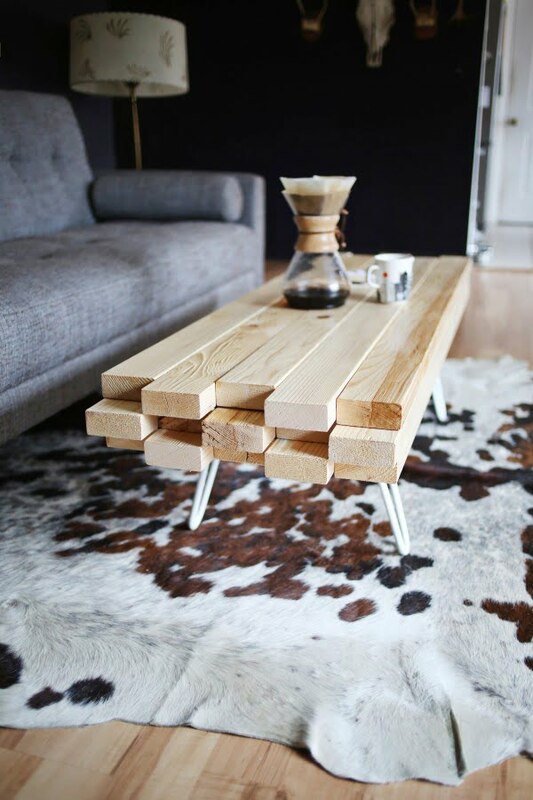 This rustic coffee table is as good looking as it is practical. 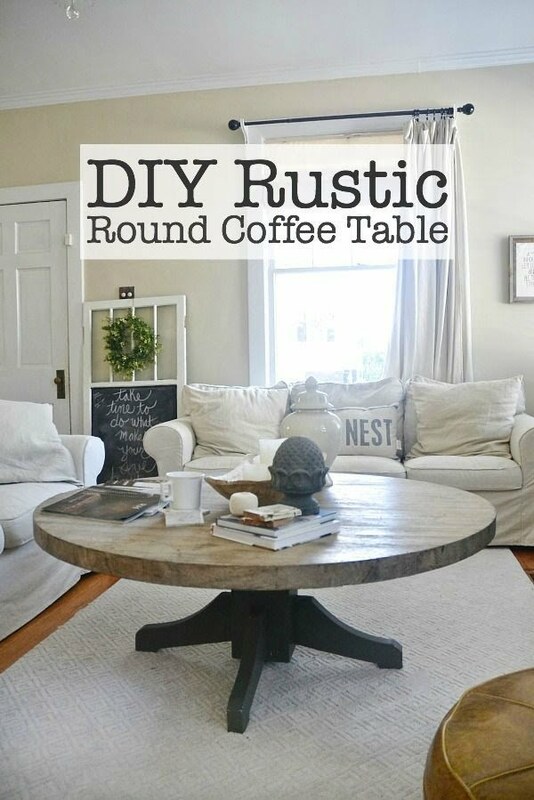 You can make this table using the Rustic X table plans from Ana White. The lifting top turns this coffee table into a makeshift small dining table. 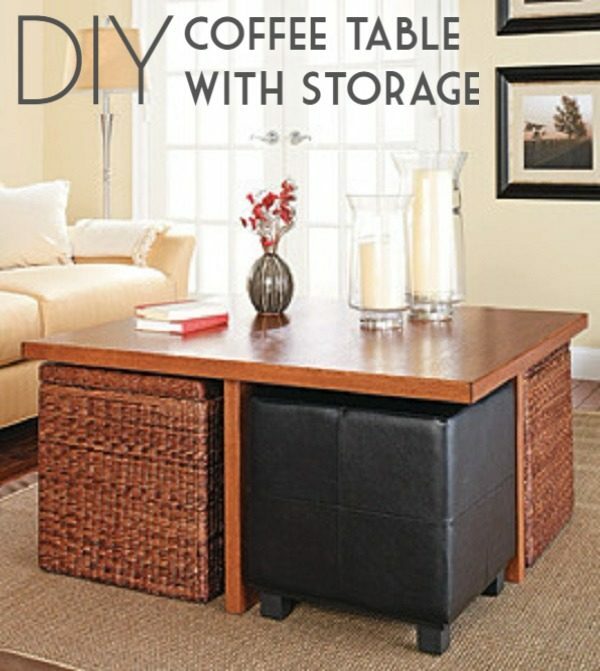 The coffee table has always been the centerpiece of a living room, and it only makes sense for you to do it yourself. You already have the tools, and now you need to get the 2x4s to get the job done. Consider the colors you are going to use, and make sure it is a color that will match many settings just in case there are furniture or carpet changes at some point. Moving to a smaller house often means having to discard old furniture and getting new ones that fit the current space. For this project, a round Scandinavian coffee table was constructed to replace an old rectangular train cart. It uses three Danish table legs for a sturdy, minimalist base. Any living room makeover would benefit from this stylish and functional coffee table. The top is made from stained birch plywood with a storage area beneath the surface for books and trinkets. It is supported by brass hairpin legs which are firm but not bulky. Here’s a coffee table that is meant to be an attraction. It has a modern construction with clean lines and a glass top. Ornamental pieces can be placed on the top and at the bottom as can be seen from the illustration. Homeowners can display their collections, found objects, and other exciting items. 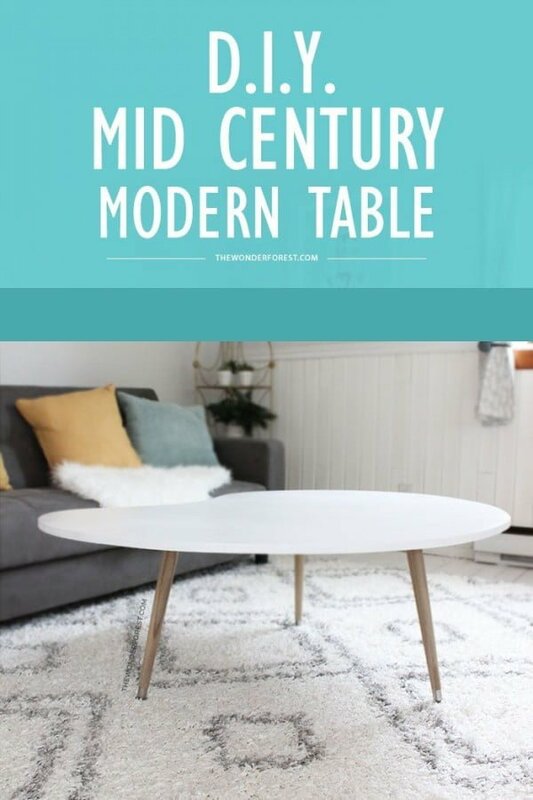 This wooden table will look great whether in a farmhouse or a modern home. The splayed legs can be a little tricky, but those who have a miter saw should be able to recreate them with simple angle adjustments. This project is suited to those with a bit of experience in doing DIY projects. Inspired by Pottery Barn, this table features ample storage underneath with an open shelf and three drawers. Buying it will set you back hundreds of dollars while building it would only cost a tenth of the original price. This works best for large living rooms given the size of the piece. 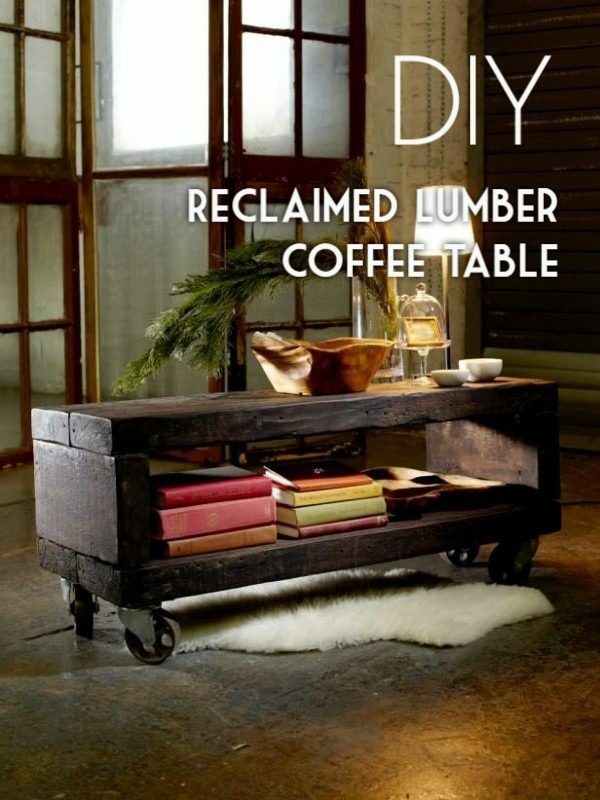 If you like the rustic look, then give this project a try. It features solid wood construction with a large top surface. However, there is no storage area below for books, magazines, and remote controls. The instructions are pretty straightforward, and a lot of people have already shared their attempts. Get free plans for this table that mixes industrial design with farmhouse table sensibilities. It’s a great beginner’s project with simple cuts and straightforward instructions. The base is a hollow rectangular prism painted in black made up of 2×2″s. The top is a series of 1×4″ boards that cover the entire surface. Here is a good use for old fence pickets. Just cut them to size and turn them into a cart that can double as a movable table. There are wheels underneath for mobility and a rope handle on one side. Just be sure to clean and sand the wood to make the finished product look better. 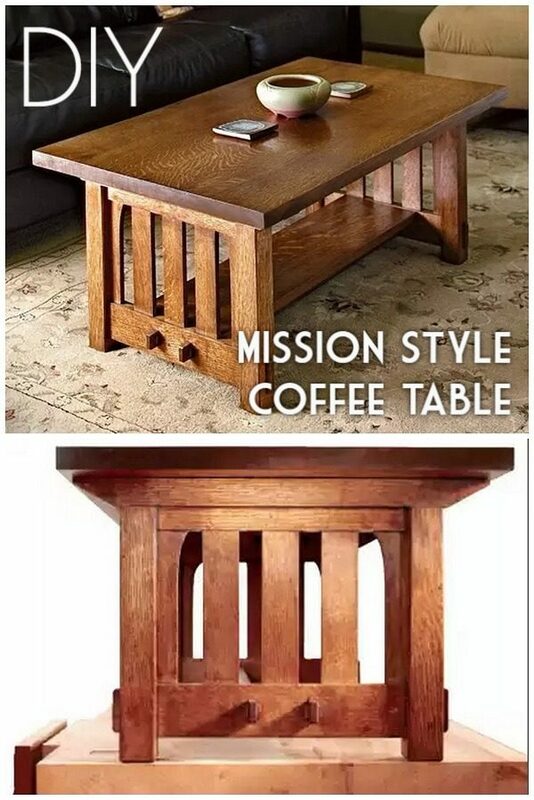 If you have a free weekend, then consider making this attractive table for your living room. It is as beautiful as it is functional yet not very hard to make. This is a good option if you have L-shape seating and wish to have a sturdy coffee table to rest your feet on. This one is meant for homes that are in dire need of additional storage space. There is plenty in this build with a total of five drawers in which to place household items. White oak was used for the original project, but any wood will do. Living rooms with an ample space in the middle will benefit immensely from this project. This is not an ordinary coffee table as it hides four ottomans under the surface. The example has two for storage and another two for seating, but you may also opt to change the ratio depending on your needs. Those who are just starting in their DIY journey should look for projects with simple joints and cuts. This one fits the bill. You can use plywood for the top and 2x2s for the legs. Join everything with glue and screws. Sand the surfaces for a smooth finish and use your preferred stain. Make use of any reclaimed wood that you might have and turn it into a table that’s filled with character. If the wood is thick enough, then you should be able to create a rectangular prism of a good length without adding a brace in the middle. This hollow portion can be used for storage. Add caster wheels for mobility. This table has a rugged base made up of 4×4 legs at each corner. For added strength, these are reinforced on each side by an X-mark made of 2x4s. The top surface is composed of several planks lying down to cover the entire surface area. Underneath is a narrower storage solution for better functionality. 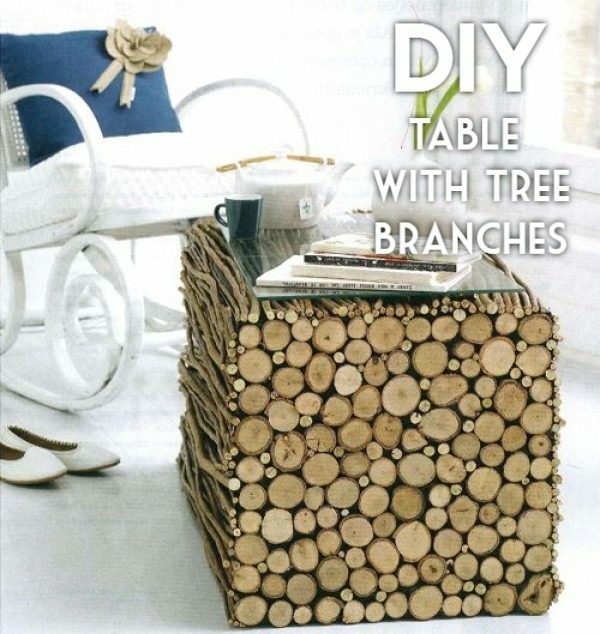 This is a remarkably simple yet beautiful solution that makes use of dried tree branches and twigs. Instead of throwing them away or leaving them to rot, why not turn them into a statement piece for your living room? Just pile everything together, bind with glue, and cut cleanly on each side to the desired length. Here is a good option for those with green thumbs. 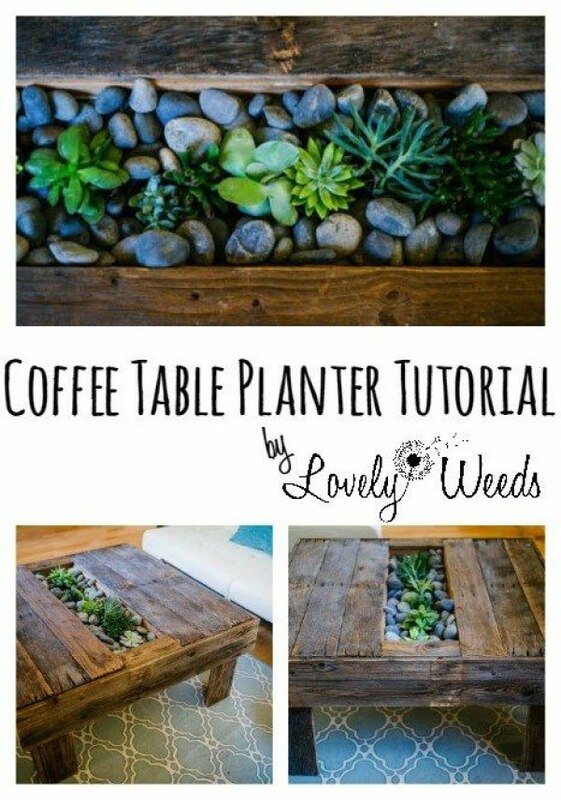 Instead of buying a table and placing a potted plant on top, build your own that includes space for plants in the middle. The hollow portion can be filled with stones and succulents which are easy to care for. Cart tables can be expensive, so it makes sense for DIY enthusiasts to try to make their own. This plan offers one approach that features a giant wheel in the middle and two smaller wheels on each edge. Check flea markets for the materials to save up on cost. This project turns an old abandoned table into an interior piece that is worthy of people’s attention. Since the structure is already complete, all that’s needed is a bit of cleaning, painting, and decorating. In this example, the base was painted gold while the top was sprayed with white paint before book illustrations were layered onto the surface. Designer furniture can undoubtedly turn heads, but their prices can also break the bank. This example costs a thousand dollars at retail, but you can get almost the precisely same thing much cheaper if you’re prepared to roll up your sleeves. Pallet wood can pile up in some homes. It makes sense to use it as raw material for various projects. For instance, why not turn the planks into a sawhorse table? This is great for those who appreciate shabby chic furniture and have a long narrow room. 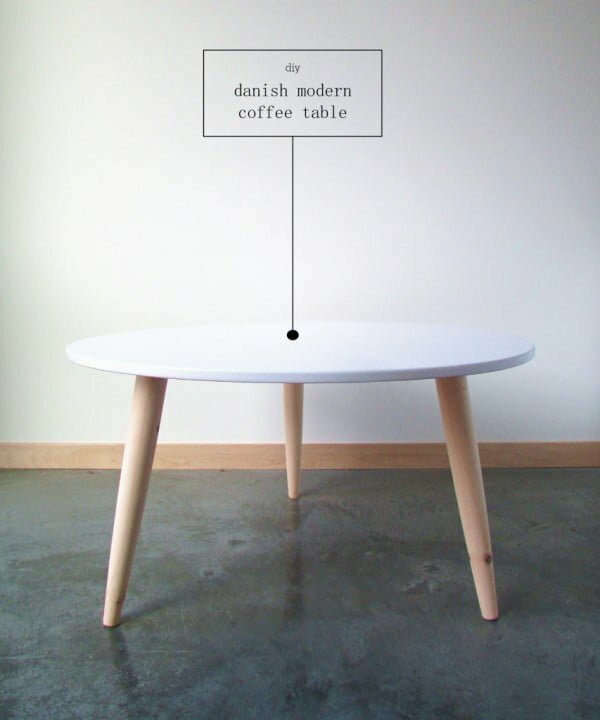 This is similar to the Danish table we described earlier with the tripod legs and white top. However, this one has an irregular shape that looks like a jelly bean. You can use freehand to draw any shape you want and cut accordingly. Increase the legs from 3 to 4 for added stability. Those who are more willing to embrace experimental designs may want to take a look at this. It echoes the very modern minimalist aesthetic except that the surface is not as smooth as expected. Randomly arranged blocks of wood add texture and visual interest. This project is perfect for massive living rooms with seating on all sides. It gives people plenty of space to put food and drinks while watching TV. The base is a think piece of wood in the middle with protrusions from all sides. This configuration minimizes the footprint and makes the room feel more spacious. 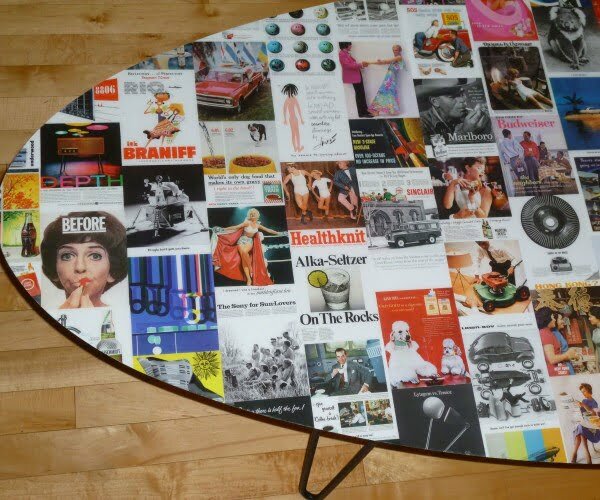 Using ads from a calendar, they were decoupaged onto the plywood and then later covered in epoxy resin to make this amazing vintage ad coffee table. Follow this website for the entire plans and instructions.